Since it has been a while since my last post of Autumn colors, I thought I would follow with a photo of how the trees look now. 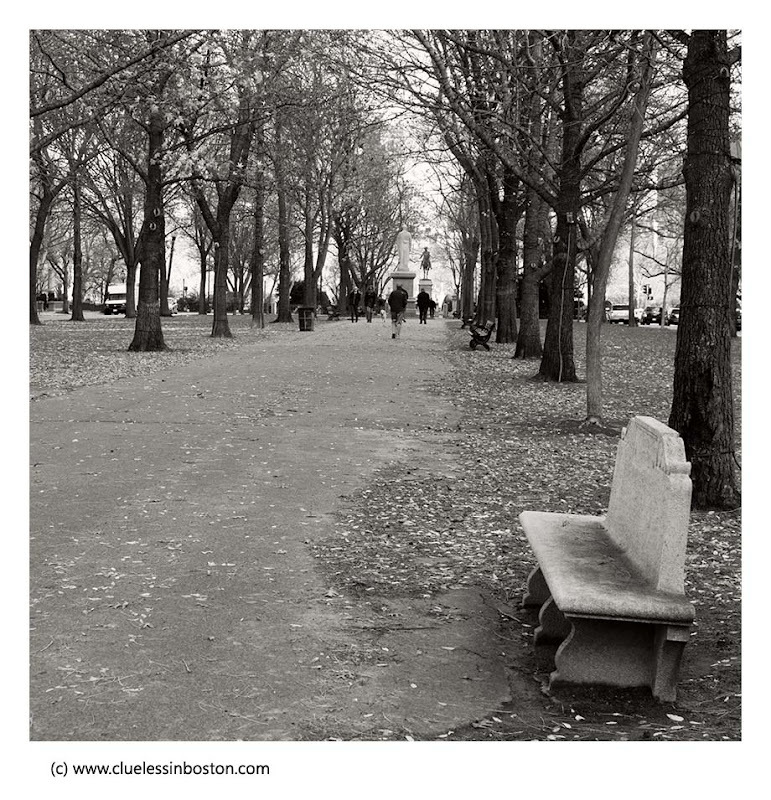 Labels: Autumn, Benches, Commonwealth Ave.
A lot of changes, but a timeless beauty..
Glad to see you back on blogosphere! I see that today we both post trees, benches people and parks, but one in winter and one in summer. Lovely black and white. Beautiful shot. All the colour certainly has leached out!